Dr. Nettles Natural Beauty, LLC. has been seeded in love, science, and helping others since 1933. We are a family of pharmacists, doctors, farmers, herbalists, naturalists, and homemakers. Our ancestors grew up in Northern Alabama and on the Gulf of Mexico harvesting the land for medicinal purposes. They passed down their secrets to growing abundant and organic herbs, vegetables , and bamboo to improve their health and beauty. Our southern family created a legacy of soap makers and tea producers. Today, as physicians, scientists, dentists, and pharmacists, we bring an apothecary and holistic line of Dr. Nettles Natural Beauty holistic products. Specializing in apothecary goods. Based in southern Alabama. Rooted in tradition. 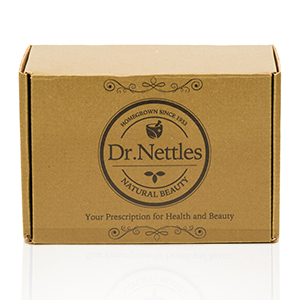 Learn about the Dr. Nettles Beauty Box!